The history of Sri Lanka is intertwined with the history of the broader Indian subcontinent and the surrounding regions, comprising the areas of South Asia, Southeast Asia and Indian Ocean. The earliest human remains found on the island of Sri Lanka date to about 35,000 years ago (Balangoda Man). The proto-historical period begins roughly in the 3rd century, based on chronicles like the Mahavamsa, Dipavamsa, and the Culavamsa. The earliest documents of settlement in the Island are found in these chronicles. These chronicles cover the period since the establishment of the Kingdom of Tambapanni in the 6th century BCE. The first Sri Lankan ruler of the Anuradhapura Kingdom, Pandukabhaya, is recorded for the 4th century BCE. Buddhism was introduced in the 3rd century BCE by Arhath Mahinda (son of the Indian emperor Ashoka). The first Tamil ruler of the Anuradhapura Kingdom, Ellalan, an invader, is recorded for the 2nd century BCE. The island was divided into numerous kingdoms over the following centuries, intermittently (between CE 993–1077) united under Chola rule. Sri Lanka was ruled by 181 monarchs from the Anuradhapura to Kandy periods. From the 16th century, some coastal areas of the country were also controlled by the Portuguese, Dutch and British. Between 1597 and 1658, a substantial part of the island was under Portuguese rule. The Portuguese lost their possessions in Ceylon due to Dutch intervention in the Eighty Years' War. Following the Kandyan Wars, the island was united under British rule in 1815. Armed uprisings against the British took place in the 1818 Uva Rebellion and the 1848 Matale Rebellion. Independence was finally granted in 1948 but the country remained a Dominion of the British Empire until 1972. In 1972 Sri Lanka assumed the status of a Republic. A constitution was introduced in 1978 which made the Executive President the head of state. The Sri Lankan Civil War began in 1983, including an armed youth uprising in 1971 and 1987–1989, with the 25-year-long civil war ending in 2009. Evidence of human colonization in Sri Lanka appears at the site of Balangoda. Balangoda Man arrived on the island about 34,000 years ago and have been identified as Mesolithic hunter gatherers who lived in caves. Several of these caves, including the well known Batadombalena and the Fa-Hien Rock cave,(( Pahiyangala Cave)) have yielded many artifacts from these people who are currently the first known inhabitants of the island. Balangoda Man probably created Horton Plains, in the central hills, by burning the trees in order to catch game. However, the discovery of oats and barley on the plains at about 15,000 BCE suggests that agriculture had already developed at this early date. Several minute granite tools (about 4 centimetres in length), earthenware, remnants of charred timber, and clay burial pots date to the Mesolithic stone age. Human remains dating to 6000 BCE have been discovered during recent excavations around a cave at Varana Raja Maha vihara and in the Kalatuwawa area. Cinnamon is native to Sri Lanka and has been found in Ancient Egypt as early as 1500 BCE, suggesting early trade between Egypt and the island's inhabitants. It is possible that Biblical Tarshish was located on the island. James Emerson Tennent identified Tarshish with Galle. The protohistoric Early Iron Age appears to have established itself in South India by at least as early as 1200 BCE, if not earlier (Possehl 1990; Deraniyagala 1992:734). The earliest manifestation of this in Sri Lanka is radiocarbon-dated to c. 1000–800 BCE at Anuradhapura and Aligala shelter in Sigiriya (Deraniyagala 1992:709-29; Karunaratne and Adikari 1994:58; Mogren 1994:39; with the Anuradhapura dating corroborated by Coningham 1999). It is very likely that further investigations will push back the Sri Lankan lower boundary to match that of South India. Archaeological evidence for the beginnings of the Iron age in Sri Lanka is found at Anuradhapura, where a large city–settlement was founded before 900 BCE. The settlement was about 15 hectares in 900 BCE, but by 700 BCE it had expanded to 50 hectares. A similar site from the same period has also been discovered near Aligala in Sigiriya. Early mythical history recorded in Buddhist scriptures refers to three visits by the Buddha to the island to see the Naga Kings, snakes that can take the form of a human at will. The earliest surviving chronicles from the island, the Dipavamsa and the Mahavamsa, say that tribes of Yakkhas (demon worshippers), Nagas (cobra worshippers) and Devas (god worshippers) inhabited the island prior to the migration of Vijaya. Pottery has been found at Anuradhapura bearing Brahmi script and non-Brahmi writing and date back to 600 BCE – one of the oldest examples of the script. The Pali chronicles, the Dipavamsa, Mahavamsa, Thupavamsa and the Chulavamsa, as well as a large collection of stone inscriptions, the Indian Epigraphical records, the Burmese versions of the chronicles etc., provide information on the history of Sri Lanka from about the 6th century BCE. The Mahavamsa, written around 400 CE by the monk Mahanama, using the Deepavamsa, the seehalattakatha mahavanshaya, uththaraviharatta katha, vinayatta katha and other written sources available to him, correlates well with Indian histories of the period. Indeed, Emperor Ashoka's reign is recorded in the Mahavamsa. The Mahavamsa account of the period prior to Asoka's coronation, 218 years after the Buddha's death, seems to be part legend. Proper historical records begin with the arrival of Vijaya and his 700 followers. H. W. Codrington puts it, 'It is possible and even probable that Vijaya (`The Conqueror') himself is a composite character combining in his person...two conquests' of ancient Sri Lanka. Vijaya is an Indian prince, the eldest son of King Sinhabahu ("Man with Lion arms") and his sister Queen Sinhasivali. Both these Sinhalese leaders were born of a mythical union between a lion and a human princess. The Mahavamsa states that Vijaya landed on the same day as the death of the Buddha (See Geiger's preface to Mahavamsa). The story of Vijaya and Kuveni (the local reigning queen) is reminiscent of Greek legend, and may have a common source in ancient Proto-Indo-European folk tales. According to the Mahavamsa, Vijaya landed on Sri Lanka near Mahathitha (Manthota or Mannar), and named on the island of Thambaparni ("copper-colored sand"). This name is attested to in Ptolemy's map of the ancient world. The Mahavamsa also describes the Buddha visiting Sri Lanka three times. Firstly, to stop a war between a Naga king and his son in law who were fighting over a ruby chair. It is said that on his last visit he left his foot mark on Siri Pada ("Adam's Peak"). Gambhira Nadi is the old name for the second longest river in Sri Lanka (known as Malwatu Oya in Sinhala and Aruvi Aru in Tamil). This river was a main supply route connecting the capital, Anuradhapura, to Mahathitha (now Mannar). The waterway was used by Greek and Chinese ships travelling the southern Silk Route. Mahathitha was an ancient port linking Sri Lanka to India and the Persian gulf. The latest genetic tests shows that the Genetic Admixture of present day Sinhalese shows the 84% of strong North Indian Genetic origin of the Sinhalese ethnicity. Their genetic admixture consists 72% of Bengali 12% of Gujarati and 16% Tamil genes in them. This further prove that Sinhalese are descending from Aryans who have migrated to the island during 6th and 3rd centuries BCE  The Sinhalese recognize the Vijayan Indo-Aryan culture and Buddhism, as distinct from other groups in neighboring south India. In the early ages of the Anuradhapura Kingdom, the economy was based on farming and early settlements were mainly made near the rivers of the east, north central, and north east areas which had the water necessary for farming the whole year round. The king was the ruler of country and responsible for the law, the army, and being the protector of faith. Devanampiya Tissa (250–210 BCE) was Sinhalese was friends with the King of the Maurya clan. His links with Emperor Asoka led to the introduction of Buddhism by Mahinda (son of Asoka) around 247 BCE. Sangamitta (sister of Mahinda) brought a Bodhi sapling via Jambukolapattana (Sambiliturei). This king's reign was crucial to Theravada Buddhism and for Sri Lanka. Ellalan (205–161 BCE) was a Tamil King who ruled "Pihiti Rata" (Sri Lanka north of the mahaweli) after killing King Asela. During Ellalan's time Kelani Tissa was a sub-king of Maya Rata (in the south-west) and Kavan Tissa was a regional sub-king of Ruhuna (in the south-east). Kavan Tissa built Tissa Maha Vihara, Dighavapi Tank and many shrines in Seruvila. Dutugemunu (161–137 BCE), the eldest son of King Kavan Tissa, at 25 years of age defeated the South Indian Tamil invader Elara (over 64 years of age) in single combat, described in the Mahavamsa. The Ruwanwelisaya, built by Dutugemunu, is a dagaba of pyramid-like proportions and was considered an engineering marvel. Bronze imitation of a Roman coin, Sri Lanka, 4–8th century CE. Pulahatta (or Pulahatha), the first of The Five Dravidians, was deposed by Bahiya. He in turn was deposed by Panaya Mara who was deposed by Pilaya Mara, murdered by Dathika in 88 BCE. Mara was deposed by Valagamba I (89–77 BCE) which ended Tamil rule. The Mahavihara Theravada Abhayagiri ("pro-Mahayana") doctrinal disputes arose at this time. The Tripitaka was written in Pali at Aluvihara, Matale. Chora Naga (63–51 BCE), a Mahanagan, was poisoned by his consort Anula who became queen. Queen Anula (48–44 BCE), the widow of Chora Naga and of Kuda Tissa, was the first Queen of Lanka. She had many lovers who were poisoned by her and was killed by Kuttakanna Tissa. Vasabha (67–111 CE), named on the Vallipuram gold plate, fortified Anuradhapura and built eleven tanks as well as pronouncing many edicts. Gajabahu I (114–136) invaded the Chola kingdom and brought back captives as well as recovering the relic of the tooth of the Buddha. A Sangam Period classic, Manimekalai, attributes the origin of the first Pallava King from a liaison between the daughter of a Naga king of Manipallava named Pilli Valai (Pilivalai) with a Chola king, Killivalavan, out of which union was born a prince, who was lost in ship wreck and found with a twig (pallava) of Cephalandra Indica (Tondai) around his ankle and hence named Tondai-man. Another version states "Pallava" was born from the union of the Brahmin Ashvatthama with a Naga Princess also supposedly supported in the sixth verse of the Bahur plates which states "From Ashvatthama was born the king named Pallava". Sri Lankan imitations of 4th-century Roman coins, 4th to 8th centuries. There was intense Roman trade with the ancient Tamil country (present day Southern India) and Sri Lanka, establishing trading settlements which remained long after the fall of the Western Roman Empire. During the reign of Mahasena (274–301) the Theravada (Maha Vihara) was persecuted and the Mahayanan branch of Buddhism appeared. Later the King returned to the Maha Vihara. Pandu (429) was the first of seven Pandiyan rulers, ending with Pithya in 455. Dhatusena (459–477) "Kalaweva" and his son Kashyapa (477–495) built the famous sigiriya rock palace where some 700 rock graffiti give a glimpse of ancient Sinhala. In 993, when Raja Raja Chola sent a large Chola army which conquered the Anuradhapura Kingdom, in the north, and added it to the sovereignty of the Chola Empire. The whole or most of the island was subsequently conquered and incorporated as a province of the vast Chola empire during the reign of his son Rajendra Chola. The Kingdom of Polonnaruwa was the second major Sinhalese kingdom of Sri Lanka. It lasted from 1055 under Vijayabahu I to 1212 under the rule of Lilavati. The Kingdom of Polonnaruwa came into being after the Anuradhapura Kingdom was invaded by Chola forces under Rajaraja I and led to formation of the Kingdom of Ruhuna, where the Sinhalese Kings ruled during Chola occupation. Sadayavarman Sundara Pandyan I invaded Sri Lanka in the 13th century and defeated Chandrabanu the usurper of the Jaffna Kingdom in northern Sri Lanka. Sadayavarman Sundara Pandyan I forced Candrabhanu to submit to the Pandyan rule and to pay tributes to the Pandyan Dynasty. But later on when Candrabhanu became powerful enough he again invaded the Singhalese kingdom but he was defeated by the brother of Sadayavarman Sundara Pandyan I called Veera Pandyan I and Candrabhanu lost his life. Sri Lanka was invaded for the 3rd time by the Pandyan Dynasty under the leadership of Arya Cakravarti who established the Jaffna kingdom. After defeating Kalinga Magha III (A Pandyan Ruler), King Parakramabahu established his Kingdom in Dambadeniya. He built the Temple of The Sacred Tooth Relic in Dambadeniya. It was established by king Buwanekabahu IV, he is said to be the son of Sawulu Vijayabahu. During this time, a muslim traveller and geographer named Ibn Battuta came to Sri Lanka and wrote a book about it. The Gadaladeniya Viharaya is the main building made in the Gampola Kingdom period. The Lankatilaka Viharaya is also a main building built in Gampola. After winning the battle, Parakramabahu VI sent an officer named Alagakkonar to check the new kingdom of Kotte. Vannimai, also called Vanni Nadu, were feudal land divisions ruled by Vanniar chiefs south of the Jaffna peninsula in northern Sri Lanka. Pandara Vanniyan allied with the Kandy Nayakars led a rebellion against the British and Dutch colonial powers in Sri Lanka in 1802. He was able to liberate Mullaitivu and other parts of northern Vanni from Dutch rule. In 1803, Pandara Vanniyan was defeated by the British and Vanni came under British rule. 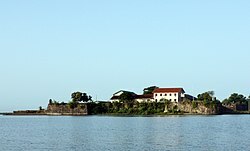 A Portuguese (later Dutch) fort in Batticaloa, Eastern Province built in the 16th century. The first Europeans to visit Sri Lanka in modern times were the Portuguese: Lourenço de Almeida arrived in 1505 and found that the island, divided into seven warring kingdoms, was unable to fend off intruders. The Portuguese founded a fort at the port city of Colombo in 1517 and gradually extended their control over the coastal areas. In 1592, the Sinhalese moved their capital to the inland city of Kandy, a location more secure against attack from invaders. Intermittent warfare continued through the 16th century. Many lowland Sinhalese converted to Christianity due to missionary campaigns by the Portuguese while the coastal Moors were religiously persecuted and forced to retreat to the Central highlands. The Buddhist majority disliked the Portuguese occupation and its influences, welcoming any power who might rescue them. When the Dutch captain Joris van Spilbergen landed in 1602, the king of Kandy appealed to him for help. Rajasinghe II, the king of Kandy, made a treaty with the Dutch in 1638 to get rid of the Portuguese who ruled most of the coastal areas of the island. The main conditions of the treaty were that the Dutch were to hand over the coastal areas they had captured to the Kandyan king in return for a Dutch trade monopoly over the island. The agreement was breached by both parties. The Dutch captured Colombo in 1656 and the last Portuguese strongholds near Jaffnapatnam in 1658. By 1660 they controlled the whole island except the land-locked kingdom of Kandy. The Dutch (Protestants) persecuted the Catholics and the remaining Portuguese settlers but left Buddhists, Hindus and Muslims alone. The Dutch levied far heavier taxes on the people than the Portuguese had done. After the invasion of the Portuguese, Konappu Bandara (King Vimaladharmasuriya) intelligently won the battle and became the first king of the kingdom of Kandy. He built The Temple of the Sacred Tooth Relic. The monarch ended with the death of the last king, Sri Vikrama Rajasinha in 1832. Late 19th-century German map of Ceylon. 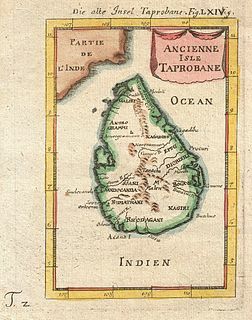 During the Napoleonic Wars, Great Britain, fearing that French control of the Netherlands might deliver Sri Lanka to the French, occupied the coastal areas of the island (which they called Ceylon) with little difficulty in 1796. In 1802, the Treaty of Amiens formally ceded the Dutch part of the island to Britain and it became a crown colony. In 1803, the British invaded the Kingdom of Kandy in the first Kandyan War, but were repulsed. In 1815 Kandy was occupied in the second Kandyan War, finally ending Sri Lankan independence. Following the suppression of the Uva Rebellion the Kandyan peasantry were stripped of their lands by the Wastelands Ordinance, a modern enclosure movement, and reduced to penury. The British found that the uplands of Sri Lanka were very suitable for coffee, tea and rubber cultivation. By the mid-19th century, Ceylon tea had become a staple of the British market bringing great wealth to a small number of white tea planters. The planters imported large numbers of Tamil workers as indentured labourers from south India to work the estates, who soon made up 10% of the island's population. These workers had to work in slave-like conditions living in line rooms, not very different from cattle sheds. The British colonialists favoured the semi-European Burghers, certain high-caste Sinhalese and the Tamils who were mainly concentrated to the north of the country. Nevertheless, the British also introduced democratic elements to Sri Lanka for the first time in its history and the Burghers were given degree of self-government as early as 1833. It was not until 1909 that constitutional development began, with a partly elected assembly, and not until 1920 that elected members outnumbered official appointees. Universal suffrage was introduced in 1931 over the protests of the Sinhalese, Tamil and Burgher elite who objected to the common people being allowed to vote. Ceylon National Congress (CNC) was founded to agitate for greater autonomy, although the party was soon split along ethnic and caste lines. Historian K. M. de Silva has stated that the refusal of the Ceylon Tamils to accept minority status is one of the main causes of the break up of the Ceylon National congress. The CNC did not seek independence (or "Swaraj"). What may be called the independence movement broke into two streams: the "constitutionalists", who sought independence by gradual modification of the status of Ceylon; and the more radical groups associated with the Colombo Youth League, Labour movement of Goonasinghe, and the Jaffna Youth Congress. These organizations were the first to raise the cry of "Swaraj" ("outright independence") following the Indian example when Jawaharlal Nehru, Sarojini Naidu and other Indian leaders visited Ceylon in 1926. The efforts of the constitutionalists led to the arrival of the Donoughmore Commission reforms in 1931 and the Soulbury Commission recommendations, which essentially upheld the 1944 draft constitution of the Board of ministers headed by D. S. Senanayake. The Marxist Lanka Sama Samaja Party (LSSP), which grew out of the Youth Leagues in 1935, made the demand for outright independence a cornerstone of their policy. Its deputies in the State Council, N.M. Perera and Philip Gunawardena, were aided in this struggle by other less radical members like Colvin R. De Silva, Leslie Goonewardene, Vivienne Goonewardene, Edmund Samarkody and Natesa Iyer. They also demanded the replacement of English as the official language by Sinhala and Tamil. The Marxist groups were a tiny minority and yet their movement was viewed with great interest by the British administration. The ineffective attempts to rouse the public against the British Raj in revolt would have led to certain bloodshed and a delay in independence. British state papers released in the 1950s show that the Marxist movement had a very negative impact on the policy makers at the Colonial office. The Soulbury Commission was the most important result of the agitation for constitutional reform in the 1930s. The Tamil organization was by then led by G. G. Ponnambalam, who had rejected the "Ceylonese identity". Ponnamblam had declared himself a "proud Dravidian" and proclaimed an independent identity for the Tamils. He attacked the Sinhalese and criticized their historical chronicle known as the Mahavamsa. One such conflict[specify] in Navalapitiya led to the first Sinhalese-Tamil riot in 1939. Ponnambalam opposed universal franchise, supported the caste system, and claimed that the protection of minority rights requires that minorities (35% of the population in 1931) having an equal number of seats in parliament to that of the Sinhalese (65% of the population). This "50-50" or "balanced representation" policy became the hall mark of Tamil politics of the time. Ponnambalam also accused the British of having established colonization in "traditional Tamil areas", and having favoured the Buddhists by the Buddhist temporalities act. The Soulbury Commission rejected the submissions by Ponnambalam and even criticized what they described as their unacceptable communal character[clarification needed]. Sinhalese writers pointed to the large immigration of Tamils to the southern urban centers, especially after the opening of the Jaffna-Colombo railway. Meanwhile, Senanayake, Baron Jayatilleke, Oliver Gunatilleke and others lobbied the Soulbury Commission without confronting them officially. The unofficial submissions contained what was to later become the draft constitution of 1944. The close collaboration of the D. S. Senanayake government with the war-time British administration led to the support of Lord Louis Mountbatten. His dispatches and a telegram to the Colonial office supporting Independence for Ceylon have been cited by historians as having helped the Senanayake government to secure the independence of Sri Lanka. The shrewd cooperation with the British as well as diverting the needs of the war market to Ceylonese markets as a supply point, managed by Oliver Goonatilleke, also led to a very favourable fiscal situation for the newly independent government. Sri Lanka was a front-line British base against the Japanese during World War II. Sri Lankan opposition to the war led by the Marxist organizations and the leaders of the LSSP pro-independence group were arrested by the Colonial authorities. On 5 April 1942, the Indian Ocean raid saw the Japanese Navy bomb Colombo. The Japanese attack led to the flight of Indian merchants, dominant in the Colombo commercial sector, which removed a major political problem facing the Senanayake government. Marxist leaders also escaped to India where they participated in the independence struggle there. The movement in Ceylon was minuscule, limited to the English-educated intelligentsia and trade unions, mainly in the urban centres. These groups were led by Robert Gunawardena, Philip's brother. In stark contrast to this "heroic" but ineffective approach to the war, the Senanayake government took advantage to further its rapport with the commanding elite. Ceylon became crucial to the British Empire in the war, with Lord Louis Mountbatten using Colombo as his headquarters for the Eastern Theater. Oliver Goonatilleka successfully exploited the markets for the country's rubber and other agricultural products to replenish the treasury. Nonetheless, the Sinhalese continued to push for independence and the Sinhalese sovereignty, using the opportunities offered by the war, pushed to establish a special relationship with Britain. Meanwhile, the Marxists, identifying the war as an imperialist sideshow and desiring a proletarian revolution, chose a path of agitation disproportionate to their negligible combat strength and diametrically opposed to the "constitutionalist" approach of Senanayake and other ethnic Sinhalese leaders. A small garrison on the Cocos Islands manned by Ceylonese mutinied against British rule. It has been claimed that the LSSP had some hand in the action, though this is far from clear. Three of the participants were the only British colony subjects to be shot for mutiny during World War II. Two members of the Governing Party, Junius Richard Jayawardene and Dudley Senanayake, held discussions with the Japanese to collaborate in fighting the British. Sri Lankans in Singapore and Malaysia formed the 'Lanka Regiment' of the anti-British Indian National Army. The constitutionalists led by D. S. Senanayake succeeded in winning independence. The Soulbury constitution was essentially what Senanayake's board of ministers had drafted in 1944. The promise of Dominion status and independence itself had been given by the Colonial Office. The Sinhalese leader Don Stephen Senanayake left the CNC on the issue of independence, disagreeing with the revised aim of 'the achieving of freedom', although his real reasons were more subtle. He subsequently formed the United National Party (UNP) in 1946, when a new constitution was agreed on, based on the behind-the-curtain lobbying of the Soulbury commission. At the elections of 1947, the UNP won a minority of seats in parliament, but cobbled together a coalition with the Sinhala Maha Sabha party of Solomon Bandaranaike and the Tamil Congress of G.G. Ponnambalam. The successful inclusions of the Tamil-communalist leader Ponnambalam, and his Sinhalese counterpart Bandaranaike were a remarkable political balancing act by Senanayake. The vacuum in Tamil Nationalist politics, created by Ponnamblam's transition to a moderate, opened the field for the Tamil Arasu Kachchi ("Federal party"), a Tamil sovereignty party led by S. J. V. Chelvanaykam who was the lawyer son of a Christian minister. Dominion status followed on 4 February 1948 with military treaties with Britain, as the upper ranks of the armed forces were initially British, and British air and sea bases remaining intact. This was later raised to independence itself and Senanayake became the first Prime Minister of Sri Lanka. In 1949, with the concurrence of the leaders of the Ceylon Tamils, the UNP government disenfranchised the Indian Tamil plantation workers. This was the price that Senanayake had to pay to obtain the support of the Kandyan Sinhalese, who felt threatened by the demographics of the tea estates where the inclusion of the "Indian Tamils" would have meant electoral defeat for the Kandyan leaders. Senanayke died in 1952 after falling from a horse and was succeeded by his son Dudley Senanayake, the then minister of Agriculture. In 1953 he resigned following a massive Hartal ("general strike") by the Left parties against the UNP. He was followed by John Kotelawala, a senior politician and an uncle of Dudley Senanayke. Kotelawala did not have the enormous personal prestige or the adroit political acumen of D. S. Senanayake. He brought to the fore the issue of national languages that D. S. Senanayake had adroitly kept on the back burner, antagonising the Tamils and the Sinhalese by stating conflicting policies with regard to the status of Sinhala and Tamil as official languages. He also antagonized the Buddhist lobby by attacking politically active Buddhist Monks who were Bandaranaike's supporters. In 1956, the Senate was abolished and Sinhala was established as the official language, with Tamil as a second language. Appeals to the Judicial Committee of the Privy Council in London were abolished and plantations were nationalised to fulfil the election pledges of the Marxist program and to "prevent the ongoing dis-investment by the owning companies". In 1956, the Sinhala Only Act came into being. This established Sinhala as the first and preferred language in commerce and education. The Act took effect immediately. As a consequence vast numbers of people mostly Burghers left the country to live abroad as they rightfully felt discriminated against. In 1958, the first major riots between Sinhalese and Tamils flared up in Colombo as a direct result of the government's language policy. The leftist Sinhalese Janatha Vimukthi Peramuna drew worldwide attention when it launched an insurrection against the Bandaranaike government in April 1971. Although the insurgents were young, poorly armed, and inadequately trained, they succeeded in seizing and holding major areas in Southern and Central provinces before they were defeated by the security forces. Their attempt to seize power created a major crisis for the government and forced a fundamental reassessment of the nation's security needs. The movement was started in the late 1960s by Rohana Wijeweera, the son of a businessman from the seaport of Tangalla, Hambantota District. An excellent student, Wijeweera had been forced to give up his studies for financial reasons. Through friends of his father, a member of the Ceylon Communist Party, Wijeweera successfully applied for a scholarship in the Soviet Union, and in 1960 at the age of seventeen, he went to Moscow to study medicine at Patrice Lumumba University. While in Moscow, he studied Marxist ideology but, because of his openly expressed sympathies for Maoist revolutionary theory, he was denied a visa to return to the Soviet Union after a brief trip home in 1964. Over the next several years, he participated in the pro-Beijing branch of the Ceylon Communist Party, but he was increasingly at odds with party leaders and impatient with its lack of revolutionary purpose. His success in working with youth groups and his popularity as a public speaker led him to organize his own movement in 1967. Initially identified simply as the New Left, this group drew on students and unemployed youths from rural areas, most of them in the sixteen-to-twenty-five-age-group. Many of these new recruits were members of minority so called 'lower' castes (Karava and Durava) who felt that their economic interests had been neglected by the nation's leftist coalitions. The standard program of indoctrination, the so-called Five Lectures, included discussions of Indian imperialism, the growing economic crisis, the failure of the island's communist and socialist parties, and the need for a sudden, violent seizure of power. Between 1967 and 1970, the group expanded rapidly, gaining control of the student socialist movement at a number of major university campuses and winning recruits and sympathizers within the armed forces. Some of these latter supporters actually provided sketches of police stations, airports, and military facilities that were important to the initial success of the revolt. In order to draw the newer members more tightly into the organization and to prepare them for a coming confrontation, Wijeweera opened "education camps" in several remote areas along the south and southwestern coasts. These camps provided training in Marxism–Leninism and in basic military skills. While developing secret cells and regional commands, Wijeweera's group also began to take a more public role during the elections of 1970. His cadres campaigned openly for the United Front of Sirimavo R. D. Bandaranaike, but at the same time they distributed posters and pamphlets promising violent rebellion if Bandaranaike did not address the interests of the proletariat. In a manifesto issued during this period, the group used the name Janatha Vimukthi Peramuna for the first time. Because of the subversive tone of these publications, the United National Party government had Wijeweera detained during the elections, but the victorious Bandaranaike ordered his release in July 1970. In the politically tolerant atmosphere of the next few months, as the new government attempted to win over a wide variety of unorthodox leftist groups, the JVP intensified both the public campaign and the private preparations for a revolt. Although their group was relatively small, the members hoped to immobilize the government by selective kidnapping and sudden, simultaneous strikes against the security forces throughout the island. Some of the necessary weapons had been bought with funds supplied by the members. For the most part, however, they relied on raids against police stations and army camps to secure weapons, and they manufactured their own bombs. The discovery of several JVP bomb factories gave the government its first evidence that the group's public threats were to be taken seriously. In March 1971, after an accidental explosion in one of these factories, the police found fifty-eight bombs in a hut in Nelundeniya, Kegalla District. Shortly afterward, Wijeweera was arrested and sent to Jaffna Prison, where he remained throughout the revolt. In response to his arrest and the growing pressure of police investigations, other JVP leaders decided to act immediately, and they agreed to begin the uprising at 11:00 P.M. on 5 April. The planning for the countrywide insurrection was hasty and poorly coordinated; some of the district leaders were not informed until the morning of the uprising. After one premature attack, security forces throughout the island were put on alert and a number of JVP leaders went into hiding without bothering to inform their subordinates of the changed circumstances. In spite of this confusion, rebel groups armed with shotguns, bombs, and Molotov cocktails launched simultaneous attacks against seventy- four police stations around the island and cut power to major urban areas. The attacks were most successful in the south. By 10 April, the rebels had taken control of Matara District and the city of Ambalangoda in Galle District and came close to capturing the remaining areas of Southern Province. The new government was ill-prepared for the crisis that confronted it. Although there had been some warning that an attack was imminent, Bandaranaike was caught off guard by the scale of the uprising and was forced to call on India to provide basic security functions. Indian frigates patrolled the coast and Indian troops guarded Bandaranaike International Airport at Katunayaka while Indian Air Force helicopters assisted the counteroffensive. Sri Lanka's all-volunteer army had no combat experience since World War II and no training in counterinsurgency warfare. Although the police were able to defend some areas unassisted, in many places the government deployed personnel from all three services in a ground force capacity. Royal Ceylon Air Force helicopters delivered relief supplies to beleaguered police stations while combined service patrols drove the insurgents out of urban areas and into the countryside. After two weeks of fighting, the government regained control of all but a few remote areas. In both human and political terms, the cost of the victory was high: an estimated 10,000 insurgents- -many of them in their teens—died in the conflict, and the army was widely perceived to have used excessive force. In order to win over an alienated population and to prevent a prolonged conflict, Bandaranaike offered amnesties in May and June 1971, and only the top leaders were actually imprisoned. Wijeweera, who was already in detention at the time of the uprising, was given a twenty-year sentence and the JVP was proscribed. Under the six years of emergency rule that followed the uprising, the JVP remained dormant. After the victory of the United National Party in the 1977 elections, however, the new government attempted to broaden its mandate with a period of political tolerance. Wijeweera was freed, the ban was lifted, and the JVP entered the arena of legal political competition. As a candidate in the 1982 presidential elections, Wijeweera finished fourth, with more than 250,000 votes (as compared with Jayewardene's 3.2 million). During this period, and especially as the Tamil conflict to the north became more intense, there was a marked shift in the ideology and goals of the JVP. Initially Marxist in orientation, and claiming to represent the oppressed of both the Tamil and Sinhalese communities, the group emerged increasingly as a Sinhalese nationalist organization opposing any compromise with the Tamil insurgency. This new orientation became explicit in the anti-Tamil riots of July 1983. Because of its role in inciting violence, the JVP was once again banned and its leadership went underground. The group's activities intensified in the second half of 1987 in the wake of the Indo-Sri Lankan Accord. The prospect of Tamil autonomy in the north together with the presence of Indian troops stirred up a wave of Sinhalese nationalism and a sudden growth of antigovernment violence. During 1987 a new group emerged that was an offshoot of the JVP—the Patriotic Liberation Organization (Deshapremi Janatha Viyaparaya—DJV). The DJV claimed responsibility for the August 1987 assassination attempts against the president and prime minister. In addition, the group launched a campaign of intimidation against the ruling party, killing more than seventy members of Parliament between July and November. Along with the group's renewed violence came a renewed fear of infiltration of the armed forces. Following the successful raid of the Pallekelle army camp in May 1987, the government conducted an investigation that resulted in the discharge of thirty-seven soldiers suspected of having links with the JVP. In order to prevent a repetition of the 1971 uprising, the government considered lifting the ban on the JVP in early 1988 and permitting the group to participate again in the political arena. With Wijeweera still underground, however, the JVP had no clear leadership at the time, and it was uncertain whether it had the cohesion to mount any coordinated offensive, either military or political, against the government. The Socialist republic of Sri Lanka is established on 22 May 1972. By 1977, the voters were tired of Bandaranaike's socialist policies and elections returned the UNP to power under Junius Jayewardene, on a manifesto pledging a market economy and "a free ration of 8 seers (kilograms) of cereals". The SLFP and the left-wing parties were virtually wiped out in Parliament, although they garnered 40% of the popular vote, leaving the Tamil United Liberation Front led by Appapillai Amirthalingam as the official opposition. This created a dangerous ethnic division in Sri Lankan politics. After coming to power, Jayewardene directed the rewriting of the constitution. The document that was produced, the new Constitution of 1978, drastically altered the nature of governance in Sri Lanka. It replaced the previous Westminster style, parliamentary government with a new presidential system modeled after France, with a powerful chief executive. The president was to be elected by direct suffrage for a six-year term and was empowered to appoint, with parliamentary approval, the prime minister and to preside over cabinet meetings. Jayewardene became the first president under the new Constitution and assumed direct control of the government machinery and party. The new regime ushered in an era that did not augur well for the SLFP. Jayewardene's UNP government accused former prime minister Bandaranaike of abusing her power while in office from 1970 to 1977. In October 1980, Bandaranaike's privilege to engage in politics was removed for a period of seven years, and the SLFP was forced to seek a new leader. After a long and divisive battle, the party chose her son, Anura. Anura Bandaranaike was soon thrust into the role of the keeper of his father's legacy, but he inherited a political party torn apart by factionalism and reduced to a minimal role in the Parliament. The 1978 Constitution included substantial concessions to Tamil sensitivities. Although TULF did not participate in framing the Constitution, it continued to sit in Parliament in the hope of negotiating a settlement to the Tamil problem. TULF also agreed to Jayewardene's proposal of an all-party conference to resolve the island's ethnic problems. Jayewardene's UNP offered other concessions in a bid to secure peace. Sinhala remained the official language and the language of administration throughout Sri Lanka, but Tamil was given a new "national language" status. Tamil was to be used in a number of administrative and educational circumstances. Jayewardene also eliminated a major Tamil grievance by abrogating the "standardization" policy of the United Front government, which had made university admission criteria for Tamils more difficult. In addition, he offered many top-level positions, including that of minister of justice, to Tamil civil servants. While TULF, in conjunction with the UNP, pressed for the allparty conference, the Tamil Tigers escalated their terrorist attacks, which provoked Sinhalese backlash against Tamils and generally precluded any successful accommodation. In reaction to the assassination of a Jaffna police inspector, the Jayewardene government declared an emergency and dispatched troops, who were given an unrealistic six months to eradicate the terrorist threat. The government passed the Prevention of Terrorism (Temporary Provisions) Act in 1979. The act was enacted as a temporary measure, but it later became permanent legislation. The International Commission of Jurists, Amnesty International, and other human rights organizations condemned the act as being incompatible with democratic traditions. Despite the act, the number of terrorist acts increased. Guerrillas began to hit targets of high symbolic value such as post offices and police outposts, provoking government counterattacks. As an increasing number of civilians were caught in the fighting, Tamil support widened for the "boys", as the guerrillas began to be called. Other large, well-armed groups began to compete with LTTE. The better-known included the People's Liberation Organization of Tamil Eelam, Tamil Eelam Liberation Army, and the Tamil Eelam Liberation Organization. Each of these groups had forces measured in the hundreds if not thousands. The government claimed that many of the terrorists were operating from training camps in India's Tamil Nadu State. The Indian government repeatedly denied this claim. With the level of violence mounting, the possibility of negotiation became increasingly distant. In July 1983, communal riots took place due to the ambush and killing of 13 Sri Lankan Army soldiers by the Tamil Tigers using the voters list, which contained the exact addresses of Tamils. The Tamil community faced a backlash from Sinhalese rioters including the destruction of shops, homes, savage beatings and the burning of Jaffna library. A few Sinhalese kept Tamil neighbours in their homes to protect them from the rioters. During these riots the government did nothing to control the mob. Conservative government estimates put the death toll at 400, while the real death toll is believed to be around 3000. Also around 18,000 Tamil homes and another 5,000 homes were destroyed, with 150,000 leaving the country resulting in a Tamil diaspora in Canada, the UK, Australia and other western countries. In elections held on 17 November 2005 Mahinda Rajapakse was elected President after defeating Ranil Wickremasinghe by a mere 180,000 votes. He appointed Wickremanayake as Prime Minister and Mangala Samaraweera as Foreign Minister. Negotiations with the LTTE stalled and a low-intensity conflict began. The violence dropped off after talks in February but escalated again in April and the conflict continued until the military defeat of the LTTE in May 2009. 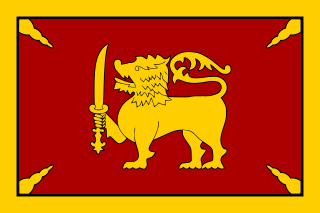 The Sri Lanka government declared total victory on 18 May 2009. On 19 May 2009, the Sri Lankan military led by General Sarath Fonseka, effectively concluded its 26-year operation against the LTTE, its military forces recaptured all remaining LTTE controlled territories in the Northern Province including Killinochchi (2 January), the Elephant Pass (9 January) and ultimately the entire district of Mullaitivu. On 22 May 2009, Sri Lankan Defence Secretary Gotabhaya Rajapaksa confirmed that 6,261 personnel of the Sri Lankan Armed Forces had lost their lives and 29,551 were wounded during the Eelam War IV since July 2006. Brigadier Udaya Nanayakkara added that approximately 22,000 LTTE fighters had died during this time. The war caused the death of 80 000-100 000 civilians. There are allegations that war crimes were committed by the Sri Lankan military and the rebel Liberation Tigers of Tamil Eelam (Tamil Tigers) during the Sri Lankan Civil War, particularly during the final months of the Eelam War IV phase in 2009. The alleged war crimes include attacks on civilians and civilian buildings by both sides; executions of combatants and prisoners by both sides; enforced disappearances by the Sri Lankan military and paramilitary groups backed by them; acute shortages of food, medicine, and clean water for civilians trapped in the war zone; and child recruitment by the Tamil Tigers. Several International bodies including UNROW Human Rights Impact Litigation Clinic, Human Rights Watch and Permanent People's Tribunal have raised allegations on the Sri Lankan Government for genocide against Tamils. In December 10, 2013, Permanent People's Tribunal unanimously ruled Sri Lanka guilty of the crime of genocide against the Tamil people. Presidential elections were completed in January 2010. Mahinda Rajapaksa won the elections with 59% of the votes, defeating General Sarath Fonseka who was the united opposition candidate. Fonseka was subsequently arrested and convicted by court martial. ^ Geiger, W. (1930). "The Trustworthiness of the Mahavamsa". The Indian Historical Quarterly. 6 (2): 228. ^ "Wh124 — Buddhism in South India — Unicode". www.bps.lk. Retrieved 2016-04-07. ^ Holmstrom, Lakshmi (1996-01-01). Maṇimēkalai. Orient Blackswan. ISBN 9788125010135. ^ a b Geiger, W. (1930). "The Trustworthiness of the Mahavamsa". The Indian Historical Quarterly. 6 (2): 208. ^ "WWW Virtual Library: Prehistoric basis for the rise of civilisation in Sri Lanka and southern India". Lankalibrary.com. Retrieved 17 August 2012. ^ "WWW Virtual Library: Galle : "Tarshish" of the Old Testament". Lankalibrary.com. Retrieved 17 August 2012. ^ "Early Man and the Rise of Civilisation in Sri Lanka: the Archaeological Evidence". Lankalibrary.com. Retrieved 17 August 2012. ^ "Features | Online edition of Daily News – Lakehouse Newspapers". Dailynews.lk. 13 November 2008. Retrieved 17 August 2012. ^ de Silva, Chandra Richard (2011). "A hydraulic civilization". The Sri Lanka reader : history, culture, politics. Holt, John, 1948-. Durham [N.C.]: Duke University Press. ISBN 9780822394051. OCLC 727325955. ^ Ranwella, K (5–18 June 2000). "The so-called Tamil kingdom of jaffna". Archived from the original on 11 February 2009. Retrieved 28 July 2009. ^ Pichumani, K; T S Subramanian; S U Deraniyagala (5–18 June 2004). "Prehistoric basis for the rise of civilisation in Sri Lanka and southern India". Frontline. 22 (12). Retrieved 9 August 2008. ^ Traditional Sinhala place names of cities in Sri Lanka. Webcitation.org. Retrieved on 25 August 2014. ^ Geiger W, Bode M H. (1912) The Mahavamsa or the great chronicle of Ceylon. London: Oxford university press. p. 58. ^ "Sinhalese | people". Encyclopedia Britannica. Retrieved 2018-02-02. ^ Coomar Gangoly, Ordhendra. The art of the Pallavas, Volume 2 of Indian Sculpture Series. G. Wittenborn, 1957. p. 2. ^ Starr, Chester G. (1956). "The Roman Emperor and the King of Ceylon". Classical Philology. 51 (1): 27–30. doi:10.1086/363981. JSTOR 266383. ^ Kulke, Hermann; Kesavapany, K; Sakhuja, Vijay (2009). Nagapattinam to Suvarnadwipa: Reflections on the Chola Naval Expeditions to Southeast Asia. Institute of Southeast Asian Studies. pp. 195–. ISBN 978-981-230-937-2. ^ Gunawardena, Charles A. (2005). Encyclopedia of Sri Lanka. Sterling Publishers Pvt. Ltd. pp. 71–. ISBN 978-1-932705-48-5. ^ Shalk, Petert. "Vallipuram Golden Plate". Serendipity. ^ de Silva. A History of Sri Lanka. pp. 91–92. ^ The laws and customs of the Tamils of Ceylon, Henry Wijayakone Tambiah, Tamil Cultural Society of Ceylon 1954, p. 65. ^ Kulatunga, K. M. M. B. (2005-01-01). Disorder in Sri Lanka. Nidahas Publication. ISBN 9789551035020. ^ "History of Sri Lanka". Lonely Planet. Retrieved October 23, 2018. ^ a b c d e f Russell, Jane (1982) Communal Politics under the Donoughmore constitution. Tsiisara Prakasakyo, Dehivala. ^ "Features". Priu.gov.lk. Retrieved 17 August 2012. ^ "Asia Times: Sri Lanka: The Untold Story". Atimes.com. Retrieved 17 August 2012. ^ "Sri Lanka – Sinhalese Parties". Countrystudies.us. 1 January 1986. Retrieved 17 August 2012. ^ Hoole, M.R.R. (1988) Chapter1: Missed Opportunities and the Loss of Democracy. Volume 1 in Broken Palmyra. Uthr.org. Retrieved on 25 August 2014. ^ "Sri Lanka – United National Party "Majority" Rule, 1948–56". Countrystudies.us. Retrieved 17 August 2012. ^ "Destroying a Symbol: Checkered History of Sri Lanka's Jaffna Public Library" (PDF). ^ "Sri Lanka : Country Studies – Federal Research Division, Library of Congress". Lcweb2.loc.gov. 27 July 2010. Retrieved 17 August 2012. ^ "Up to 100,000 killed in Sri Lanka's civil war: UN". ABC News. Retrieved 2016-04-07. ^ "Govt. : LTTE Executed Soldiers". The Sunday Leader. 8 December 2010. Retrieved 17 January 2010. ^ "The Global Failure to Protect Tamil Rights Under International Law". ^ Francis Anthony Boyle, Professor. The Tamil Genocide by Sri Lanka: The Global Failure to Protect Tamil Rights Under International Law. ISBN 978-0932863706. ^ "Permanent People's Tribunal - Tribunal on Sri Lanka" (16 January 2010). The Irish School of Ecumenics, Trinity College Dublin The School of Law and Government, Dublin City University. Permanent People's Tribunal. ^ "Sri Lanka guilty of genocide against Eelam Tamils with UK, US complicity: PPT". Retrieved 12 September 2016. ^ "Tribunal condemns Sri Lankan genocide against Eelam Tamils". Retrieved 12 September 2016. ^ "Peoples' Tribunal on Sri Lanka 07-10 December 2013" (PDF). Peoples’ Tribunal on Sri Lanka - Permanent People’s Tribunal. Permanent People’s Tribunal. 10 December 2013. Archived from the original (PDF) on 7 June 2016. ^ "Sri Lanka's Rajapaksa suffers shock election defeat - BBC News". Retrieved 2016-09-12. ^ Iyengar, Rishi. "Rajapaksa Defeated in Sri Lanka Election". TIME.com. Retrieved 2016-09-12. ^ tharindu. "Ranil takes oath as PM : MoU signed for national govt". www.srilankamirror.com. Archived from the original on 4 March 2016. Retrieved 12 September 2016. Blake, Henry A. (1905). "Ceylon" . The Empire and the century. London: John Murray. pp. 707–15. Liyanagamage, Amaradasa, The decline of Polonnaruwa and the rise of Dambadeniya. Department of Cultural Affairs, Government Press, Colombo, Sri Lanka. 1968. Mills, Lennox A. (1933). Ceylon Under British Rule, 1795–1932. Oxford U.P. Peebles, Patrick (2006). The History of Sri Lanka. Greenwood. Pieris, Paulus Edward, Ceylon and Hollanders 1658–1796. American Ceylon Mission Press, 1918. Pieris, Paulus Edward, Ceylon and the Portuguese 1505–1658. American Ceylon Mission Press, 1920. Silva, R. Kumar de, and Willemina G. M. Beumer, Illustrations and Views of Dutch Ceylon, 1602–1796. Serendib Publications, London, 1988. Sivasundaram, Sujit. "Ethnicity, Indigeneity, and Migration in the Advent of British Rule to Sri Lanka," American Historical Review (2010) 115#2 pp 428–452. Spencer, Jonathan (1990). Sri Lanka: History and the Roots of Conflict. Psychology Press. Sri Lanka, officially the Democratic Socialist Republic of Sri Lanka, is an island country in South Asia, located in the Indian Ocean to the southwest of the Bay of Bengal and to the southeast of the Arabian Sea. The island is geographically separated from the Indian subcontinent by the Gulf of Mannar and the Palk Strait. The legislative capital, Sri Jayawardenepura Kotte, is a suburb of the commercial capital and largest city, Colombo. The United National Party, often abbreviated as UNP, is a political party in Sri Lanka. It currently is the main ruling party in the government of Sri Lanka and is headed by Ranil Wickremesinghe. The UNP is considered to have right-leaning, pro-capitalist, and liberal conservative policies. Trincomalee also known as Gokanna/Gokarna, is the administrative headquarters of the Trincomalee District and major resort port city of Eastern Province, Sri Lanka. Located on the east coast of the island overlooking the Trincomalee Harbour, 237 kilometres (147 mi) north-east of Colombo, 182 kilometres (113 mi) south-east of Jaffna and 111 kilometres (69 mi) miles north of Batticaloa, Trincomalee has been one of the main centres of Sri Lankan Tamil language speaking culture on the island for over two millennia. With a population of 99,135, the city is built on a peninsula of the same name, which divides its inner and outer harbours. People from Trincomalee are known as Trincomalians and the local authority is Trincomalee Urban Council. Trincomalee city is home to the famous Koneswaram temple alluded to in its historic Tamil name Thirukonamalai and is home to other historical monuments such as the Bhadrakali Amman Temple, Trincomalee, the Trincomalee Hindu Cultural Hall and, opened in 1897, the Trincomalee Hindu College. Trincomalee is also the site of the Trincomalee railway station and an ancient ferry service to Jaffna and the south side of the harbour at Muttur. Don Stephen Senanayake was a Sri Lankan statesmen. He was the first Prime Minister of Sri Lanka having emerged as the leader of the Sri Lankan independence movement that led to the establishment of self-rule in Sri Lanka. He is considered as the "Father of the Nation". The Mahavamsa is an epic poem written in the Pali language. It relates the history of Sri Lanka from its legendary beginnings up to the reign of Mahasena of Anuradhapura covering the period between the arrival of Prince Vijaya from India in 543 BCE to his reign. It was composed by a Buddhist monk at the Mahavihara temple in Anuradhapura about the fifth century A.D. The Janatha Vimukthi Peramuna, often abbreviated as JVP is a communist and Marxist–Leninist party and political movement in Sri Lanka. The movement was involved in two armed uprisings against the ruling governments in 1971 (SLFP) and 1987–89 (UNP). The movement entered democratic politics by participating in the 1994 parliamentary election as a political party, and has been a third party in Sinhalese Sri Lankan politics since then. The Sinhalese monarch, anachronistically referred to as the kings of Sri Lanka, were the heads of state of the Sinhala Kingdom, in what is today Sri Lanka. The monarch held absolute power and succession was hereditary. The monarchy comprised the reigning monarch, his or her family, and the royal household which supports and facilitates the monarch in the exercise of his royal duties and prerogatives. Dudley Shelton Senanayake 19 June 1911 – 13 April 1973), was a Sri Lankan statesman who served as Prime Minister of Ceylon from 1952 to 1953, in 1960 and from 1965 to 1970 and Leader of the Opposition from 1960 to 1964. Senanayake's tenures as prime minister were associated with democratic socialist policies focused on agricultural and educational reforms with a pro-western alignment. Ellalan was a member of the Tamil Chola dynasty, also known as "Manu Needhi Cholan", who upon capturing the throne became king of the Anuradhapura Kingdom, in present-day Sri Lanka, from 205 BCE to 161 BCE. General elections were held in Ceylon in March 1965. Samuel James Veluppillai Chelvanayakam was a Ceylon Tamil lawyer, politician and Member of Parliament. He was the founder and leader of the Illankai Tamil Arasu Kachchi (ITAK) and Tamil United Liberation Front (TULF) and a political leader of the Ceylon Tamil community for more than two decades. 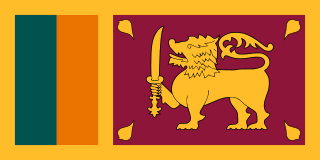 Between 1948 and 1972, Ceylon was an independent country in the Commonwealth of Nations that shared a monarch with Australia, Canada, New Zealand and the United Kingdom, and certain other sovereign states. In 1948, the British Colony of Ceylon was granted independence as Ceylon. In 1972, the country became a republic within the Commonwealth, and its name was changed to Sri Lanka. It was an island country in South Asia, located about 31 kilometres (19.3 mi) off the southern coast of India. Major General Janaka Perera, RWP, RSP, VSV, USP, VSP, rcds, psc, CR was a Sri Lankan General and politician. He served as the Chief of Staff of the Sri Lanka Army and is considered one of the most distinguished generals in Sri Lankan history. After retiring from the army he served as a Sri Lankan High Commissioner to Australia & Ambassador to Indonesia. He was the opposition leader of the North Central Provincial Council until he and his wife were killed on 6 October 2008 by a suicide bomber. The LTTE have been blamed for the bombing by Sri Lankan president Mahinda Rajapaksa. The Anuradhapura period was a period in the history of Sri Lanka of the Anuradhapura Kingdom from 377 BC to 1017 AD. The period begins when Pandukabhaya, King of Upatissa Nuwara moved the administration to Anuradhapura, becoming the kingdom's first monarch. Anuradhapura is heralded as an ancient cosmopolitan citadel with diverse populations. This is a bibliography of works on Sri Lanka. The Polonnaruwa period was a period in the history of Sri Lanka of the Kingdom of Polonnaruwa from 1056 to 1236. The period begins after the Chola conquest of Anuradhapura.